In ancient times the olive oil was an important component in the human diet; it was used to light lamps and the menorah in the Temple; it was used to anoint kings and priests; olive oil played an important part in the preparation of cosmetics and medicines: olive tree trunk and branches were used for making utensils and objects and there were many other uses. Olives ripen in the beginning of winter. At the end of the season they turn from green to black. Today there are different varieties depending on whether they are meant for oil or to be eaten. The preparation of olives for eating is usually done after the bitter flavor is taken out by rinsing and soaking them in water. The olive is one of the Biblical Seven Species, which bless Eretz Israel: “a land of wheat and barley, of vines, figs and pomegranates, and land of olive trees and honey” (Deuteronomy, 8.8) History The usage of the olive tree goes back seven thousand years to the Neolithic period. Remains of hundreds of ancient olive presses, the majority of which date back to the Iron Age (9th -8th centuries B.C.E) and until modern times, were found in Israel. The olive tree became a characteristic of the Eretz Israel landscape - an important symbol of deep-rootedness and the epitome of hope. The olive leaf is mentioned in the Bible: “ In its (the dove) bill was a plucked-off olive leaf! Then Noah knew that the waters had decreased on the earth” (Genesis 8.11). The olive branch has become a symbol of peace to all nations and today it is part of the State of Israel's emblem. Today, most of the olive plantations are found in Samaria, the Galilee and the Negev Desert. Modern technology preserves the basic stages of production but the whole process is done by one large machine without any human intervention. 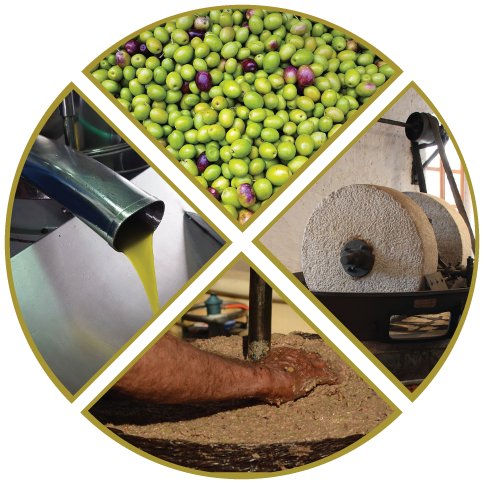 The first stage of ancient production of olive oil was crushing the olives in a mill. They were spread on a horizontal stone basin and a vertical grindstone, operated by an animal, was rolled over the olives to crush them. The second stage was pressing the crushed olives. They were put into woven baskets that were loaded onto a press that worked with a long beam and stone weights or a large wooden screw. The third stage was the separation of the oil from the watery lees in the expressed liquid. Consumption of olive oil is on the increase today due to its taste and public awareness of its nutritional and medical values. Olive oil contains anti oxidizing materials, like Polyphenols and Tocopherols. It also contains vitamin E, considered to have a positive contribution on our health. 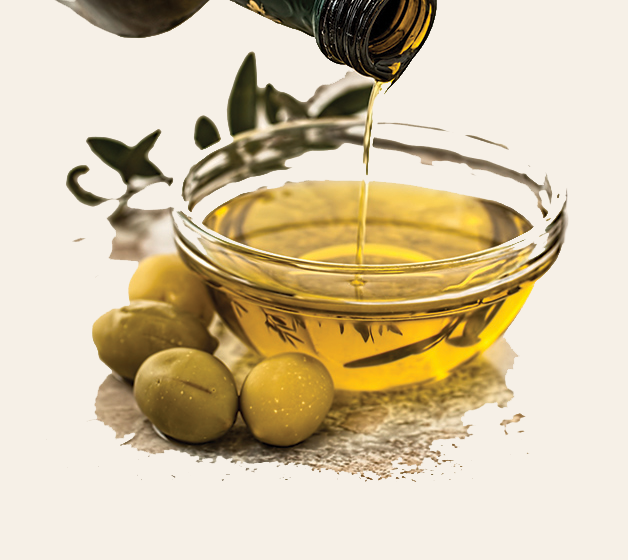 Many factors influence the processing of Olive Oil, and thus - the quality of the oil: the Olive's cultivation methods, their physical condition - whole or bruised, the quantities transported to the mill, the amount of time that passes between picking and extraction. "Extra Virgin Olive Oil" is the highest quality classification. "Cold Press" is essential in obtaining the highest levels of quality. Our address: 1 Sapir St.